A board is lying on the floor. It lies next to other art works. One is not allowed to touch it. How does one come up with the idea of putting a board in a museum? Is it laminate from the do-it-yourself store Bauhaus? No. The board is made from Pink Ivory, a very expensive ebony wood. It is part of a work by Ronald Jones, with which he is remembering an activist against the apartheid regime. Finding answers, getting into conversation, taking over a space, describing it and starting one’s own artistic attempts—artists Seraphina Lenz and Chryssa Tsampazi, pupils of the 8th grade of the Alfred-Nobel-School from Berlin-Neukölln and their teachers Korinna Stathakou and Madeleine Mansmann spent a week at KW Institute for Contemporary Art to engage with the exhibitions, artworks and the space of the institution within the context of the performative experiment AN/KW. 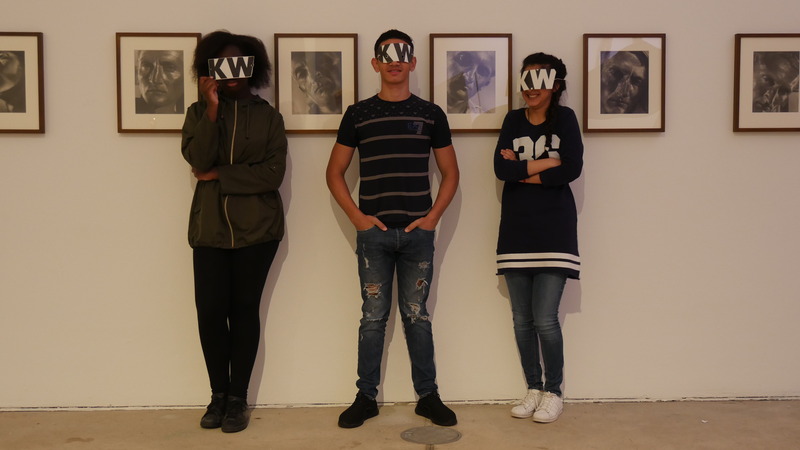 Throughout the project week, the students turned into experts by showing the staff how they experienced the institution and by negotiating which conditions should be present to make KW an interesting space for them, too. In close connection to the exhibition Enemy of the Stars: Ronald Jones in dialogue with David Hammons, Louise Lawler, Helmar Lerski and Julia Scher, the team of teachers and artists put together a set of tasks and exercises that provided various approaches for the pupils to work on questions around KW in particular and contemporary art in general. 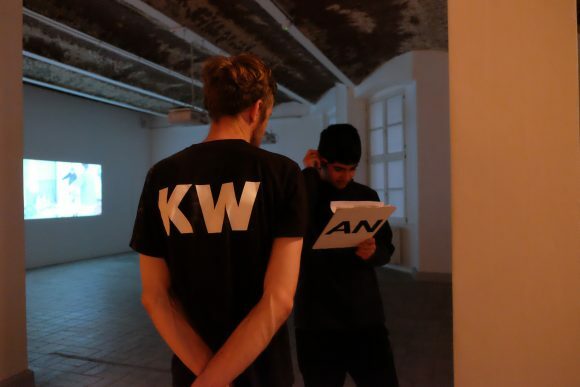 Within the process, a wide range of activities like recreating exhibition pieces, performative interventions in the exhibition space or a city rally have been developed. Besides this, a jointly lunch took place, which was a special opportunity for the pupils of the Alfred-Nobel-School and KW employees to exchange knowledge and personal stories with each other. The fact that contemporary art was not only unfamiliar to the students but also to the teachers, brought up a productive shift in the teaching and learning relation. 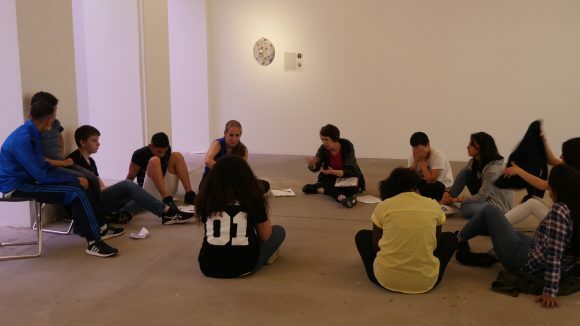 AN/KW took place in conjunction with the summer project week of Alfred-Nobel school and is funded by “Landesprogramms Kulturagenten für kreative Schulen Berlin“ (State’s Program of Cultural Agencies for Creative Schools, Berlin).